Now you can see how your hand measures up to President Donald Trump's handprint at Madame Tussauds. 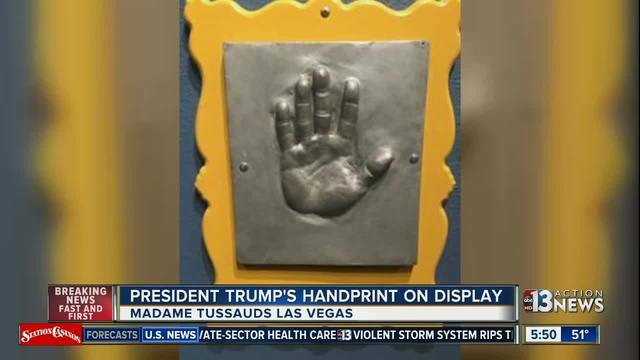 Madame Tussauds added President Donald Trump's handprint to its collection in Las Vegas. The print can be seen in the final room of the attraction alongside other handprints from celebrities who have participated in the creation of their wax figure. Guests can also create a 3D wax mold of their own hand as a souvenir and see how they measure up to the president.